Do you sometimes wonder what a particular Supply Chain and Logistics term or acronym means? I do. Or maybe you just forget? 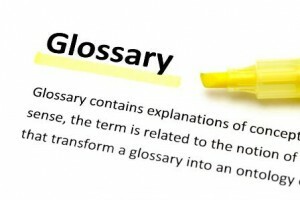 Well, we have an online Supply Chain and Logistics Glossary right on this website. Feel free to comment below. Maybe there are terms we have not covered? Would like to use some of your diagrams in a book chapter “Supply Chains and Future Earth” with full attribution. Would you consent? Will you send me an e-mail approval for use by the publishers?